Beachbody, creator of the nation’s most popular in-home fitness and weight loss solutions, was founded in 1998 by Product Partners, LLC, of Los Angeles. 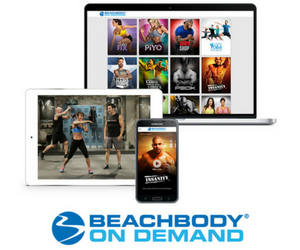 Beachbody products including Power 90, Kathy Smith’s Project YOU, Yoga Booty Ballet, Slim in 6, P90X, turbo Jam, and Hip Hop Abs among many others, combine challenging video-based fitness programs with easy-to-follow diet guidelines, superior nutritional supplements, and an unparalleled online support system. The company’s mission is to motivate and educate individuals about health, fitness, and the benefits of maintaining a lean body. Take initiative to find ways to improve everything. Make a commitment and deliver on your promises. 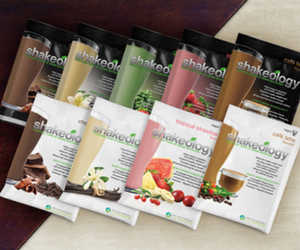 Beachbody products are developed with a team of experts and thoroughly tested before they are sold to the public. Beachbody fitness programs offer closed-captioning for the hearing impaired. Beachbody fitness DVDs offer the option to turn music on or off to suit your preference. Beachbody’s approach to fitness is realistic—if you work consistently, you will get great results. Beachbody’s success trickles down from the top. Co-founders Carl Daikeler and Jon Congdon are heavily involved in the creation of Beachbody products and they publish their “before” and “after” pictures to prove it! Beachbody.com provides 24/7 motivation and peer support through the Message Boards led by Beachbody customers who have had great success with the products. Beachbody is recognized for outstanding ethics and professionalism in our email marketing practices as one of 65 out of over 1,000 organizations surveyed in a 2004 Email Best Practices Study. Beachbody.com has approximately 30,000 visitors per day and approximately 330,000 page views daily. The Message Boards include approximately 66,000 members and receive an average of 220,000 page views per day. The average American Web surfer spends 56 seconds on a Web page. The average Message Board visitor spends approximately 12 minutes on the Message Boards per visit. Beachbody created a dynamic online support community to help customers stay motivated from program start to finish. The Team Beachbody™ Club is just that—the ultimate customer resource where trainers, Coaches, and experts enhance the experience and results of each individual user. From personalized meal plans loaded with healthy recipes to revolutionary interactive tools for tracking your progress, additional member discounts, and a chance to win $10,000 a month and a grand prize of $250,000, the Team Beachbody Club is the cutting edge of online support to help everyone achieve their fitness goals.